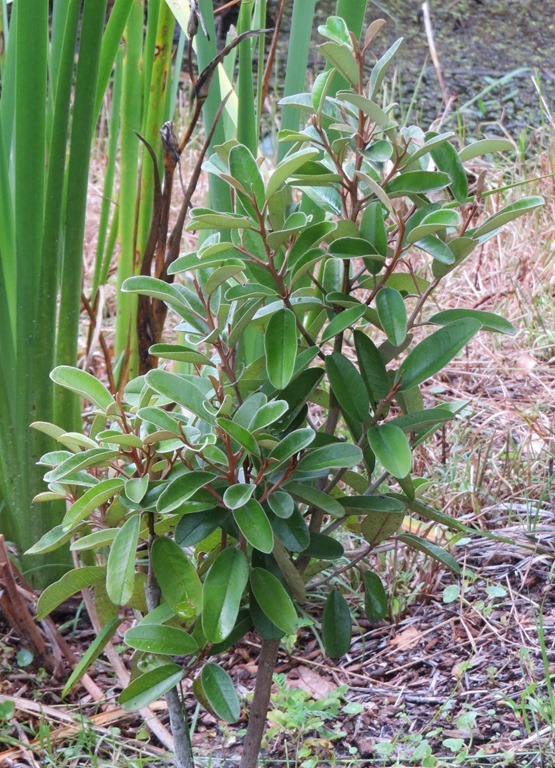 ← Butterflies,Spinach and a bunny…. There,I said it.What a relief! I go at least once a week to the beach. And any chance I get to steal away to Sanibel Island,I go. Any beach I go to,I look for shells. 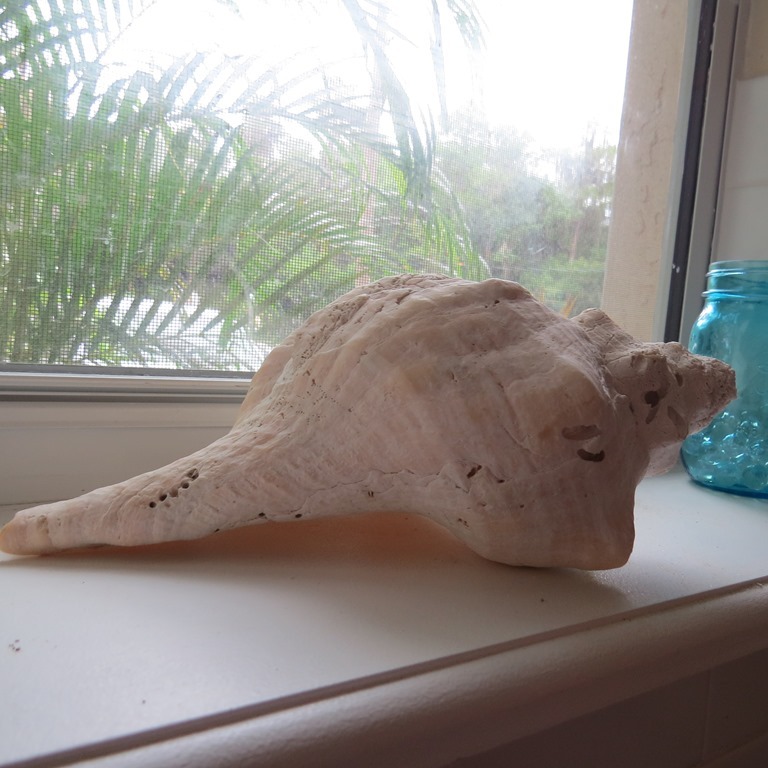 I have shells all over my house…. Not to mention everywhere else in the house.Bedrooms,bathrooms,entry,living room,dining room,even the lanai at TheGreatWall…. She started me on this path…. So what does this have to do with gardening? or 6 degrees of anything? Remember back here,I wrote about cleaning out the back of the garden? 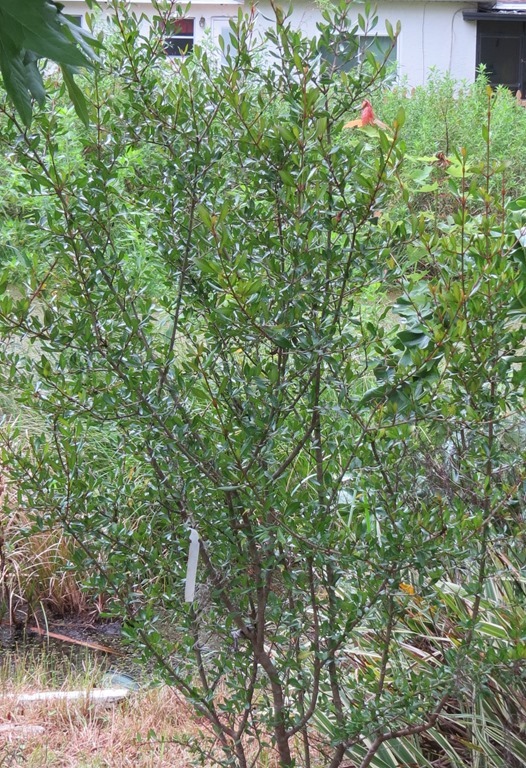 It had become overgrown,and weedy with invasives.The past few years,I’ve been trying to replace the invasives with Florida natives. 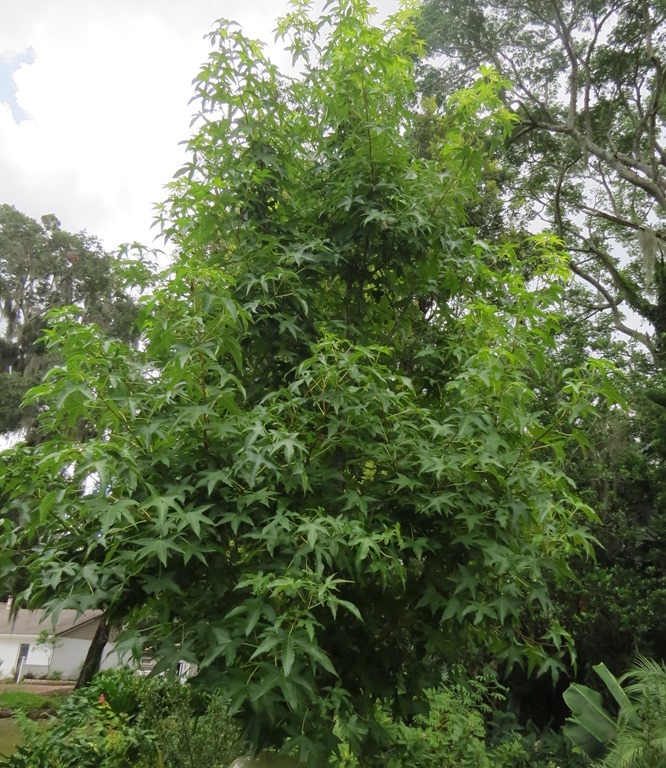 The old Bay Oak,which was damaged by TheTree,has started to recover and has been joined by a Sweet Gum tree…. 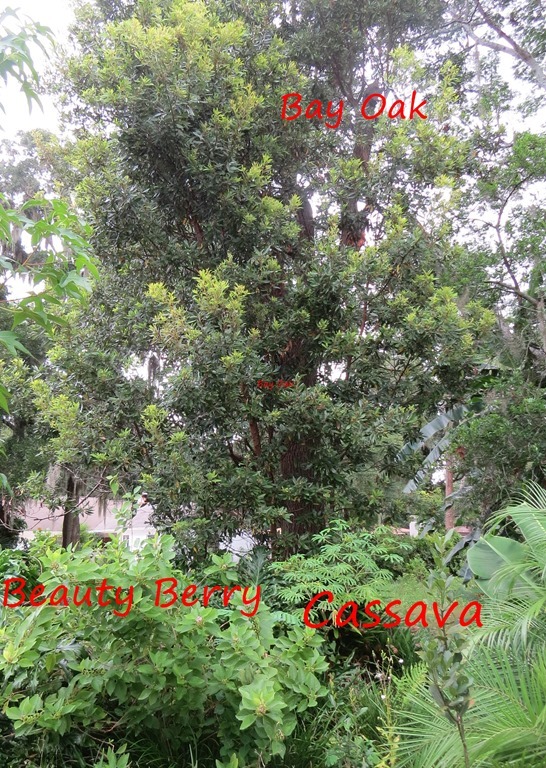 ….and is surrounded by a Beautyberry,and a native Cassava. So what does this have to do with shelling,you ask? Our lake has been considered as endangered,by Hillsborough County,but they have done nothing to help clean it up.The lake is fed by three springs,but areas of it are overgrown with hydrilla and invasive plants.A few of of us have taken it upon ourselves to do our part.Cleaning things out.Removing garbage,etc.Replanting with natives. Already we have seen a return of an alligator and turtles. By the way,what degree am I up to? So,today,when I was walking back there,what should I see? Egg casings of Florida Apple Snails! I found a few laying on the bank of the water. But this is what they look like all cleaned up…. 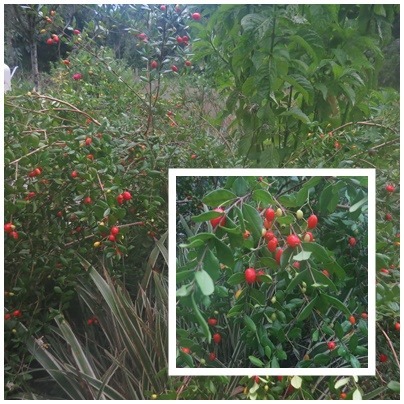 This entry was posted in TheTree and tagged Bay Oak, Beauty Berry, Florida Apple Snail, Florida natives, Jamaica Caper, shelling, Simpson's Stopper, Sweet Gum. Bookmark the permalink. 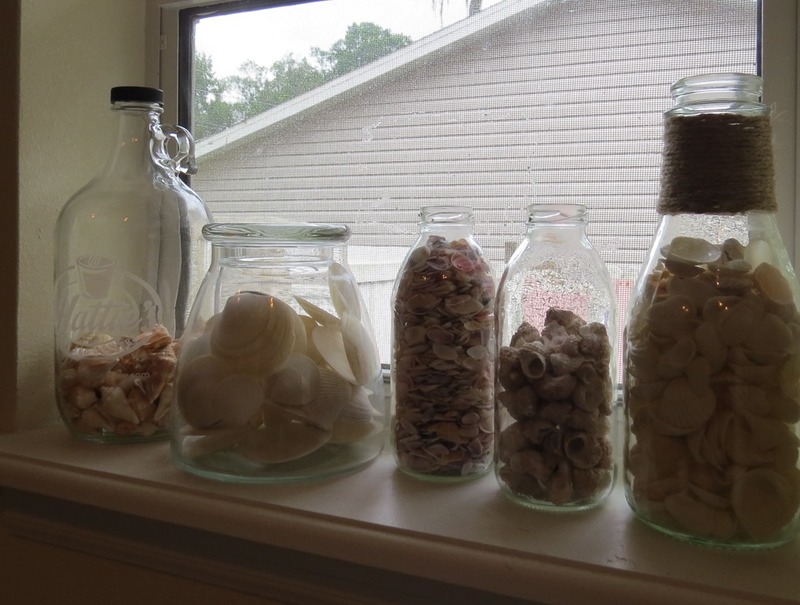 I loved your glass containers for your different shells. 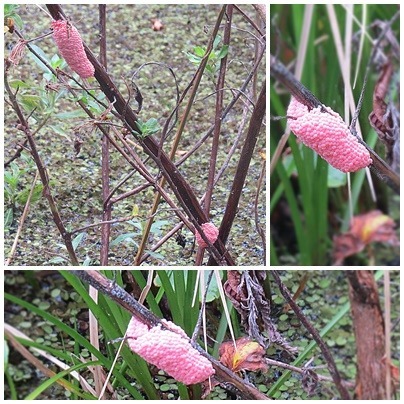 Also, the Florida Apple Snail eggs were interesting. I did not expect them to be pink. 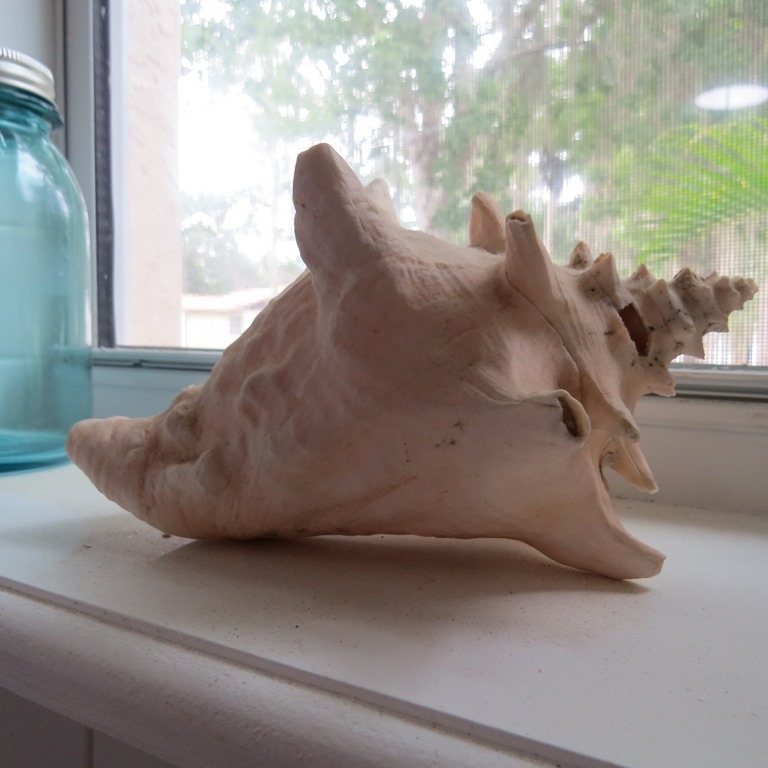 And the Fl Apple Snail shells are beautiful. Are they endangered? 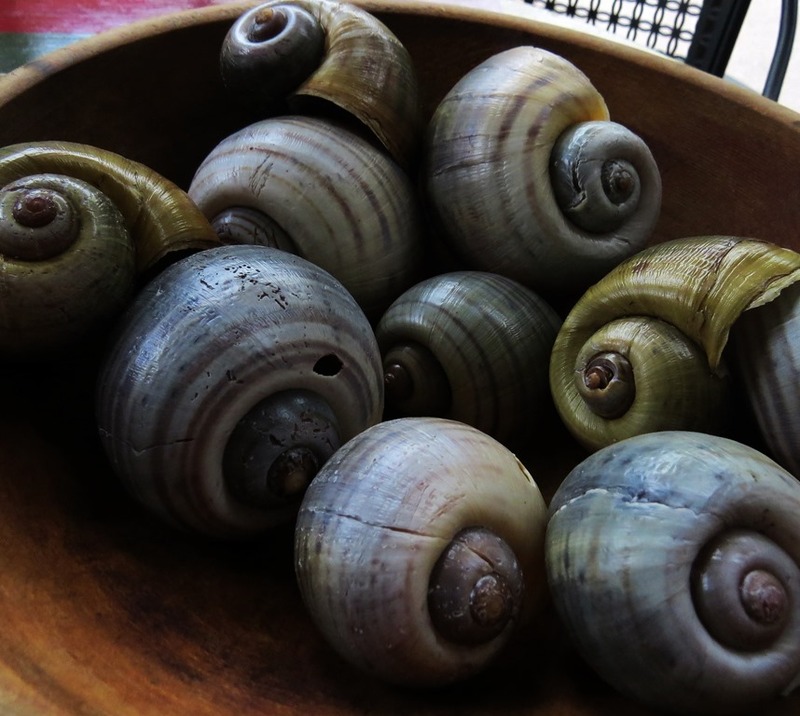 I don’t think the Florida Apple Snails are considered endangered,but I’m not sure.In 30+ years I have never seen so many.The glass containers are just that.Old jars,etc.